This bar is designed in a hexagonal form making it easy to step in and out of the bar. 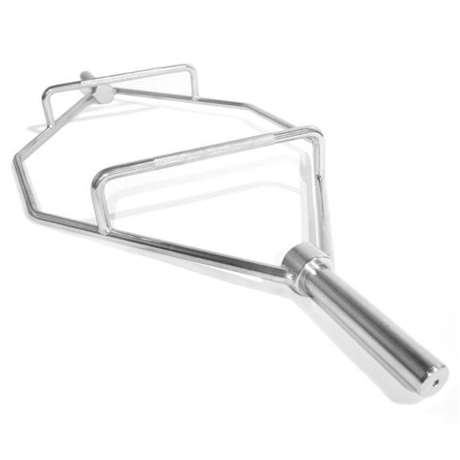 Also known as a trap bar, deadlift bar or shrug bar, this bar is perfect for performing deadlifts for those people who suffer from lower back pain. By centering the body in the middle of the bar (as opposed to behind the bar for traditional deadlifts), stress on the lower back is reduced. This bar is also perfect for performing shrugs. For use with Olympic plates only.